One of the best aspects of the Montreal International Game Summit, or MIGS, is the fact that so many industry professionals attend the show not only to push or promote their game but also to educate. I had the distinct pleasure to have a chat with Anne-Sophie Mongeau, a Sound Designer for Canadian videogame developer Eidos Montréal. 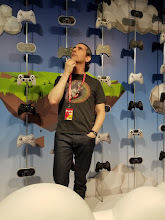 Mongeau was at MIGS to give a talk on Designing the Sound of Reality in Shadow of the Tomb Raider. Her talk focused on how immersion in the game is enhanced and in fact realized by effective use of audio. This audio also has to be stretched past the boundaries of realism to heighten the immersion of a realistic game like SotTR. The concept of immersive audio is fascinating to me but I also wanted to know more about Anne-Sophie’s path into this work. During our chat we touched on all manner of items, starting with her schooling and love of audio and music from childhood. She started playing all sorts of instruments at a young age and early on knew her future would be tied into music or audio in general. In her late teens she discovered digital audio and she was hooked. She completed a degree in Digital Music at the University of Montreal and traveled to Scotland for a Masters in Sound Design. During school she worked the audio design for some short films as well as some games with an indie studio called Vibe Avenue. I encourage you all to check out Anne-Sophie’s blog, AnneSoAudio, to see some of her work and process. After obtaining her Masters she was ready to join a studio to be immersed in the culture and process, and an opportunity arose at Eidos Montréal. 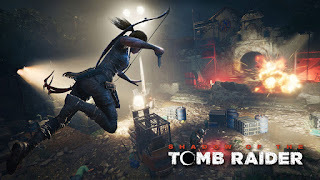 She was loving Scotland, but an opportunity like that does not come up often, so she returned to Montreal and started immediately on the sound design for Shadow of the Tomb Raider. Anne-Sophie is a self-professed mega-fan of the Tomb Raider series so this was a dream job and one she is clearly passionate about. One of the more interesting facts I learned about Anne-Sophie is that she carries around recording microphones wherever she goes, as many of us would carry a notepad or camera. If she encounters any interesting audio or sound experiences she is ready to record and archive them. These tactics lent very well into the audio journey for Shadow of the Tomb Raider. She talked about the process of mixing the audio and how a realistic game like this needs to have audio that veers into the unrealistic to enhance the immersion. It was also interesting to hear how sound and gameplay designers collaborate to make sure each aspect of the game works effectively. Please listen to the whole interview, linked above, to hear all of this and more as I chat with the talented and passionate Anne-Sophie Mongeau at MIGS 2018.